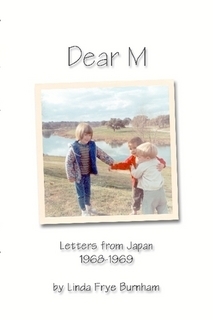 This is an excerpt from Dear M: Letters from Japan 1968-1969. 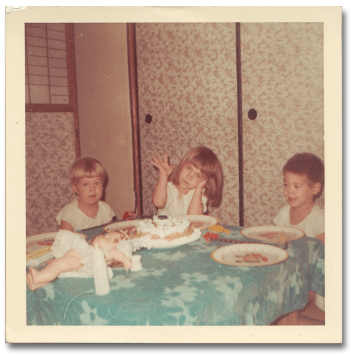 It’s a book of mine chronicling the adventures of me, my children and my first husband, John Burnham, when we lived in Japan during the Vietnam War. He’s a doctor who got drafted into the Army during the fifth year of his surgical residency at L.A. County Hospital. We lived in a Japanese house in Irumagawa, a village west of Tokyo and near an Ari Force base. The kids were 1, 2 and 4 when we got there; I was 27. I wrote almost daily to my friend Mary in California, telling these stories. She saved them. Every word is true. You can buy this book on Kindle or Lulu.com. If you order it on Lulu now through July 15, 2011, you can get a discount by using this code: BIG305. This excerpt is about a trip to the zoo with the students and staff of Meguchi Yochien, a Japanese Methodist nursery school the kids attended. They could sing “Jesus Loves Me” in Japanese. out my armpits on ration. an appropriate noise at 50,000 decibels.